Gary Meegan is Theology Chair at Junipero Serra High School, San Mateo, CA. His degrees are in music, education, and pastoral ministry. Areas of research include reading, differentiated instruction, ESL/ELL learners, and delivery of instruction. 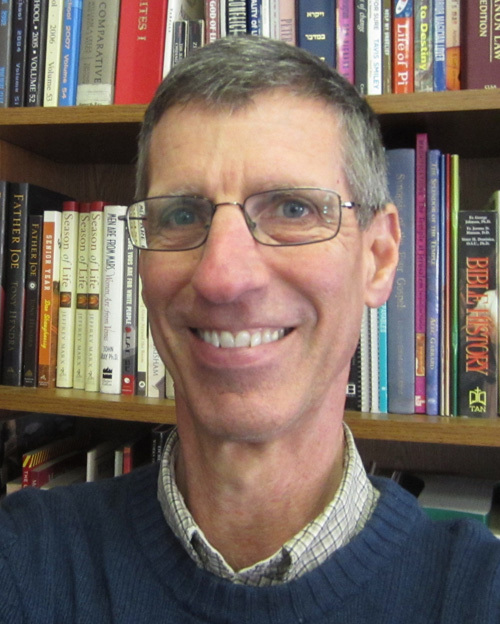 Gary is a member of the American Academy of Religion, the National Catholic Educational Association, and the American Men’s Studies Association. Contact Gary with suggestions for revisions or inclusions at garymeegan@gmail.com. This site was the final Doctoral Project to fulfill the requirements for the Doctor of Education Degree (Ed.D.) for the Graduate Theological Foundation. The author would like to especially thank Enoch Hale, Ph.D., doctoral advisor for this project. Dr. Hale’s insights and guidance have given the author a firm grounding in critical thinking, but also a deeper understanding of the practice of teaching. Thanks are also due to the faculty Berkeley Heights Elementary School in Martinsburg, WV, for their suggestions and recommendations on the information and videos contained here. Finally, the author wishes to thank the teaching community at Junipero Serra High School which has contributed immensely to the creativity and depth of the site. Deserving special note are the Theology Department, Principal Barry Thornton, Ed.D., and teachers Dr. Laura Ramey, Ed Taylor, and Susan Cordes.